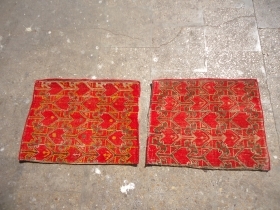 active since March, 29, 2008. 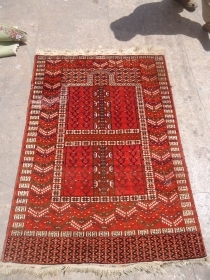 Large Chuval with great natural colors and beautiful design.soft shiny wool.Size 4'11"*2'11".E.mail for more info and pics.E.mail for more info and pics. 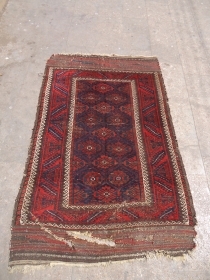 Early Anatolian Prayer Rug Fragment with good colors and design.As found.Size 3'8"*3'4".E.mail for more info and pics. 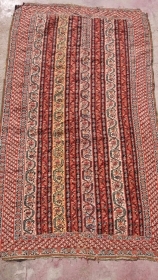 yastik with stripe design and good colors,Size 3*1'2".E.mail for more info and pics. 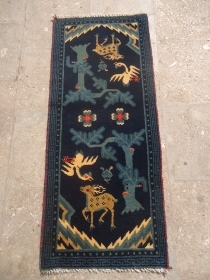 Beautiful Small Chinese Rug with deer and swan,good colors and nice design.Size 3'5"*1'5".E.mail for more info and pics. 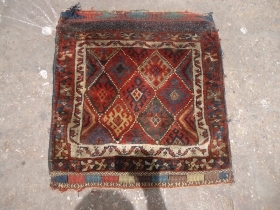 Colorfull Anatolian Kilim fragment with very fine weave and all natural colors.E.mail for more info and pics. 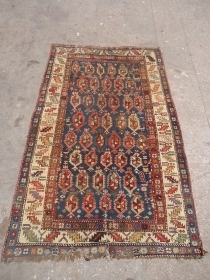 Anatolian Prayer Rug fragment with colors and age,nice design.Size 3'9"*3'5".E.mail for more info and pics. 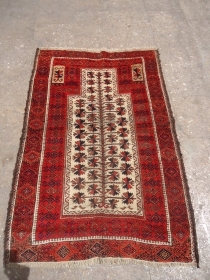 Marsali Shirvan Rug as found with good colors and design,Size 5'9"*3'9".E.mail for more info and pics. 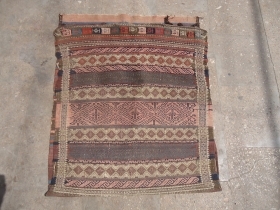 Baluch Grain Bag with nice colors and design,fine weave and original kilim backing.Size 2'10"*2'5".E.mail for more info and pics. 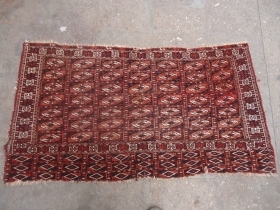 Extra fine woven trapping with nice design,as found.Size 2ft*11".E.mail for more info and pics. 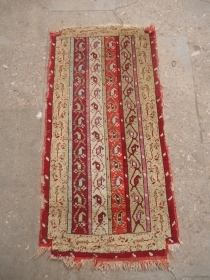 Yastik with beautiful stripe design and good colors,as found without any repair or work done.Size 3*1'6".E.mail for more info and pics. 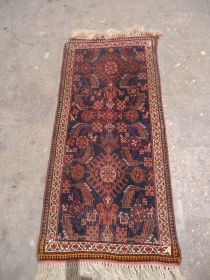 Small Qashqai Rug with blue ground and nice design,old repairs done.Size 3'10"*1'10".E.mail for more info and pics. 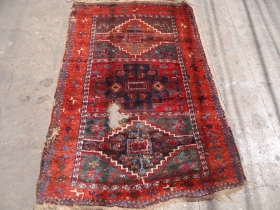 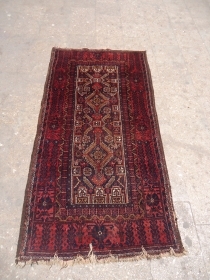 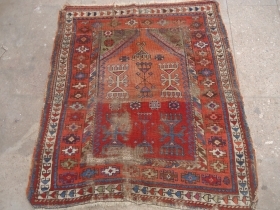 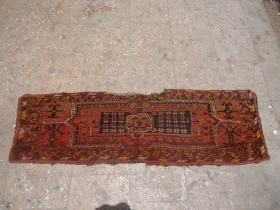 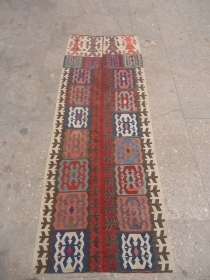 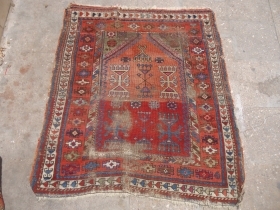 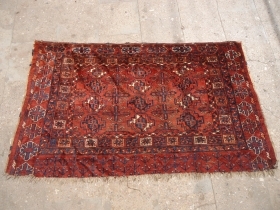 Fragmently Anatolian Kilim,good colors and nice border,as found.E.mail for more info and pics. 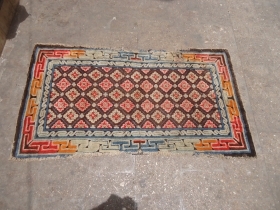 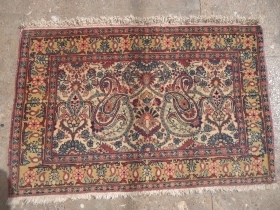 Qashqai kilim with mustard ground good colors and design,nice condition.Size 8'7"*5'3".E.mail for more info and pics. 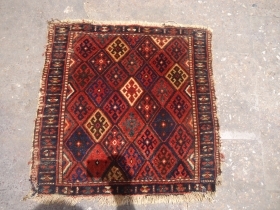 Colorful Jaf bagface with soft shiny wool and good condition.Size 2'2"*2ft.E.mail for more info and pics. 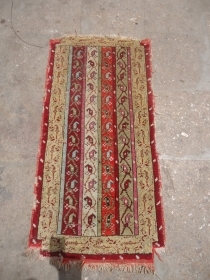 Chuval with extra fine weave and dogs or goats,Size 4*2'2".E.mail for more info and pics. 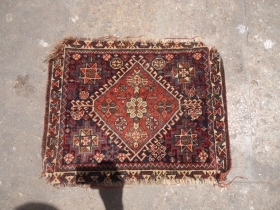 Turkmon Jalor with fine weave all original without any repair or work done.E.mail for more info and pics. 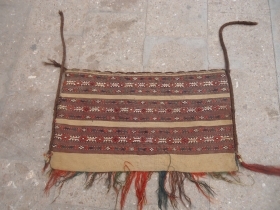 Beautiful Turkmon tent bag with original backing and excellent condition,all natural colors and very fine weave.E.mail for more info and pics. 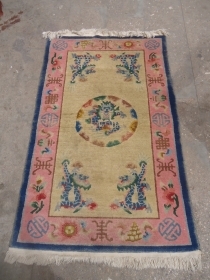 Chinese or Tibet Rug with 5 dragons and nice design colors,good condition.without any repair or work done.E.mail for more info and pics. 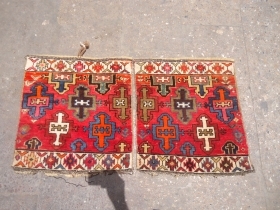 Unusual Khotan Bagface pair with original kilim backing,all original,nice colors and condition.E.mail for more info and pics. 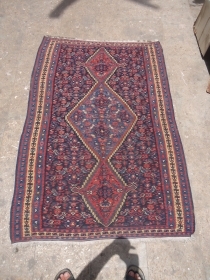 Jaf bagface with great natural colors and nice deisgn,soft shiny wool,good condition.Size 2'2"*2ft.E.mail for more info and pics. 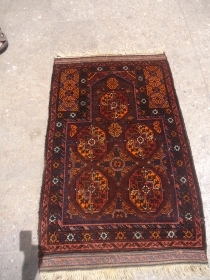 Early Dagestan Rug with condition issues,good colors and design.Size 4'2"*3ft.E.mail for more info and pics. 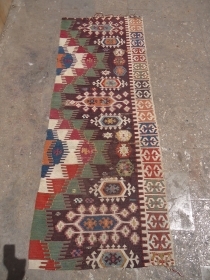 Beautiful Senneh Kilim with good colors and very nice design,good condition with old restorations done.Size 5*3'6".E,mail for more info and pics. 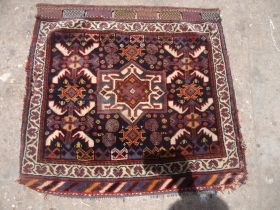 Qashqai Colorful bagface with great natural colors and soft shiny wool,nice design and condition.Size 2'3"*2'2".E.mail for more info and pics. 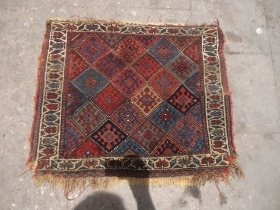 Jallor as found nice colors and design,good age,as gound all original.Size 4'9"*1'7".E.mail for more info and pics. 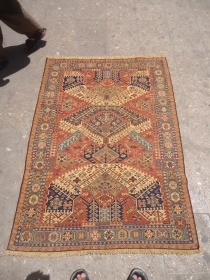 Beatiful Jaf Bagface with great natural colors and nice design.Size 2'3"*1'10".E.mail for more info and pics. 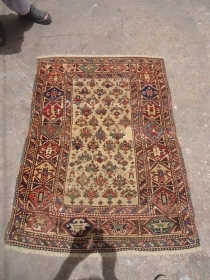 Small Salar Khan Rug with natural colors and silky wool,excellent condition.E.mail for more info and pics. 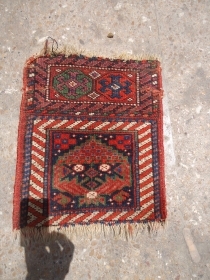 Beautiful pair of bagface with great wool,nice design and excellent condition.Size 1'8"*1'7" each.E.mail for more info and pics. 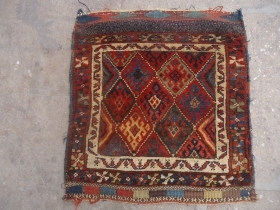 Colorful Jaf Bagfave with great natural colors and fine weave,shiny wool.E.mail for more info and pics. 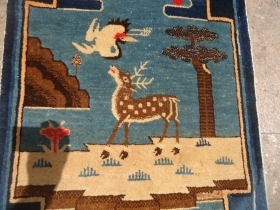 Chinese Rug with exceptional drawing of Swan and Deer all good colors and great condition,good age.Size 3'10"*2ft.E.mail for more info and pics. 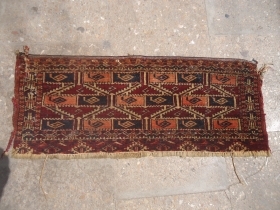 Beautiful Baluch Prayer Rug with nice design and colors,all original,soft shiny wool.Size 6'6"*2'6".E.mail for more info and pics. 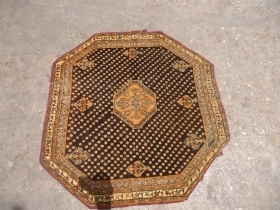 Ivory ground baluch prayer rug with great colors and nice design,all original without any work done.Size 4'4"*3ft.E.mail for more info and pics. 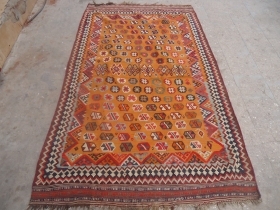 Colorfull Caucasian Mafrash with great natural colors and very fine weave,good condition and age,nice design.Size 5'9"*3'5".E.mail for more info and pics. 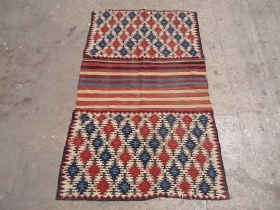 Anatolian Kilim fragment with great natural colors.Size 6'1"2'3".E.mail for more info and pics. 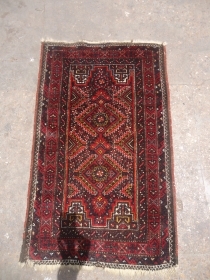 Nice Jaf with nice design and colors,good design and condition.All origina without any repair.Size 3'6"*2'5".E.mail for more info and pics. 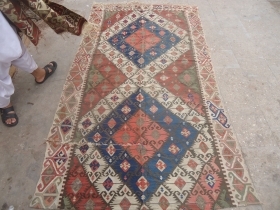 Kurdish Chanteh with all good and colors and nice design.Size 1'2"*1ft.E.mail for more info and pics. 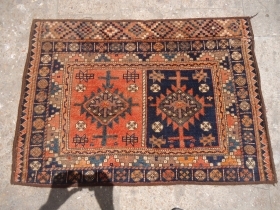 Caucasian Dragon Soumac fine weave and nice colors,beautiful design,very good condition.Size 4'11"*3'7".E.mail for more info and pics. 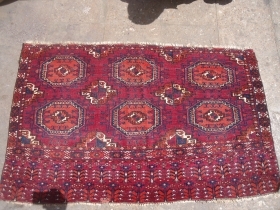 Qashqai Bagface with goats,soft shiny wool and fine weave,all natural colors.Size 1'10"*1'6".E.mail for more info and pics. 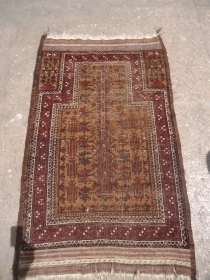 Beautiful Chuval witt,fine weave and all oriinal,white is all cotton.very nice design.and good age.Size 4'*2'6".E.mail for more info and pics. 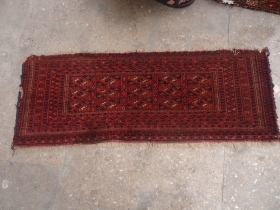 Hatchlu Parda fine weave good colors,some moth biting,else good condition.Size 4'10"*3'5".E.mail for more info and pics. 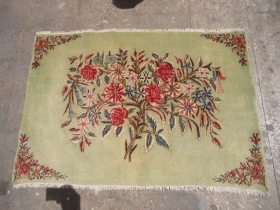 Pistachio Ground Kirman pushti or hanging rug,excellent condition and colors,fine weave and soft wool.Nice vase design,Size 3'8"*2'7".E.mail for more info and pics.